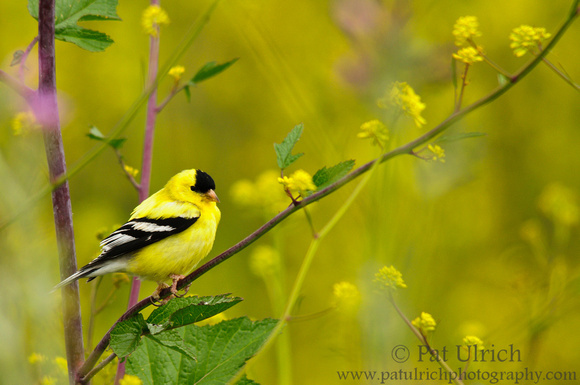 A view of a male American goldfinch (Spinus tristis) as he briefly perches among the wildflowers surrounding a treatment pond at the Ellis Creek Water Recycling Facility in Petaluma, California. View more photographs of songbirds. 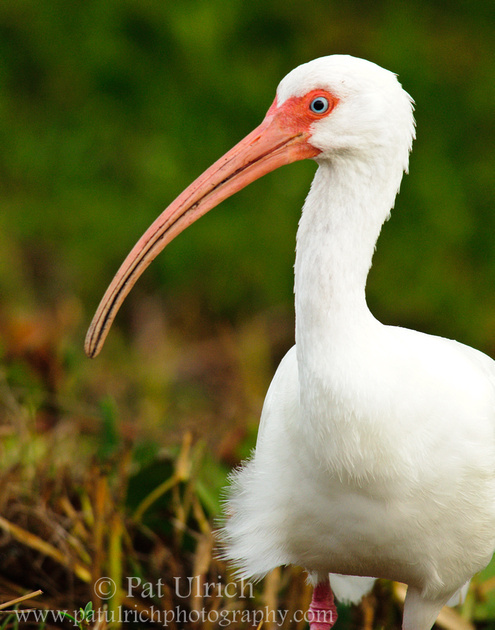 A curious white ibis (Eudocimus albus) strolls close to the photographer while it searches for prey near the shoreline in Ding Darling National Wildlife Refuge. 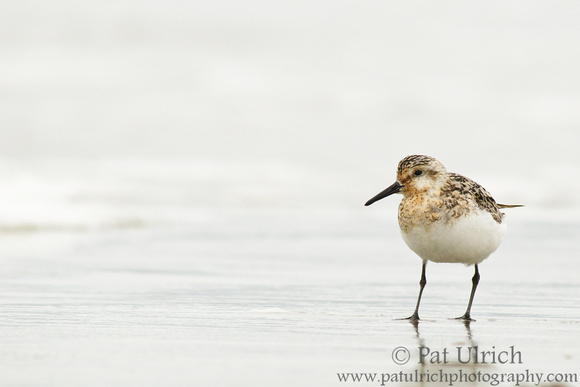 A sanderling in transitional breeding plumage stands in the wet sand on an overcast morning last August in Point Reyes National Seashore. It's been an eventful couple of months since I last posted to my blog (including starting my exciting new job with the Environmental Sciences & Engineering program at Harvard! ), and I'm feeling the need to start sharing my creative vision again. While I have had only very limited photographic productivity so far in 2012 (and really, it was just in the first few months of the year), I still have a back log of hundreds of images from California and our trip through Yellowstone and Grand Teton National Parks waiting to be shared. 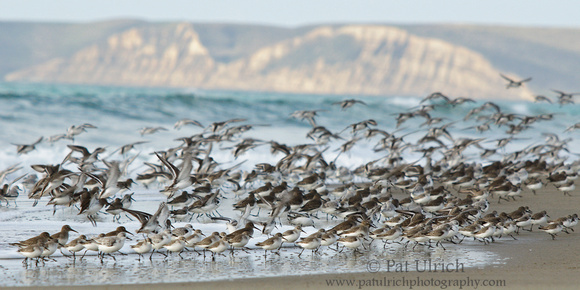 In addition to sitting on some of my favorites from these trips, I've also spent some time over the past few months mining through old folders looking for images that were once overlooked -- like this one of a flock of shorebirds on Limantour Spit in Point Reyes National Seashore. I'm looking forward to getting out again for the fall shorebird migration, but until I have some new images from coastal Massachusetts, I hope you enjoy some travels through my archives. Vernal equinox or summer solstice? I'm not sure what happened to winter, but it seems like spring has decided to follow suit. On this first day after the vernal equinox, it sure feels an awful lot like summer. The windows are open and we're expecting high temperatures in the low 80s over the next few days in the Boston area. While I might have liked to have a bit more snow for my first winter back in the Northeast, I'm not going to complain about these unseasonably warm temps. 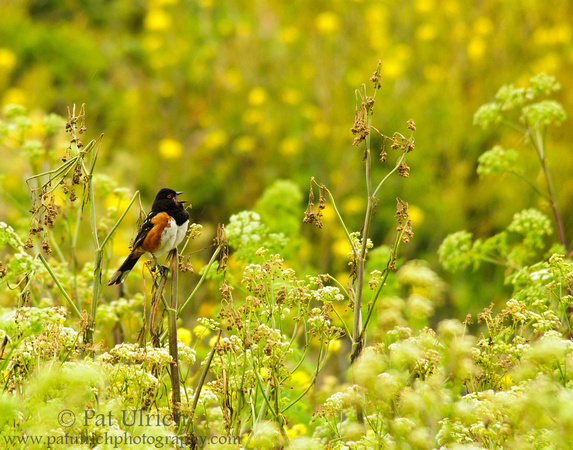 It's a nice treat to bring my shorts out of the closet in March, and the warm morning air does make me feel a bit like this happy spotted towhee that I photographed singing among the wildflowers of Point Reyes National Seashore last summer.